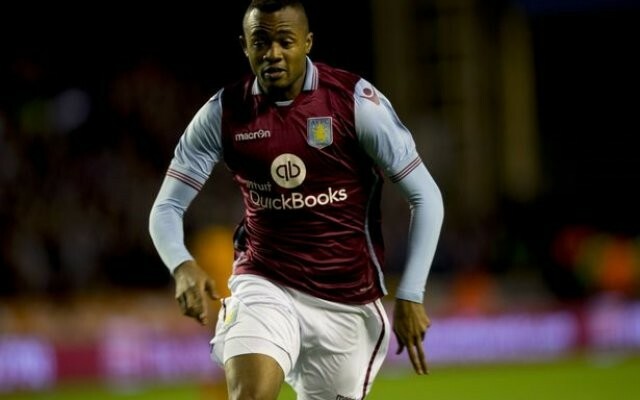 Aston Villa are understood to be preparing for life in the Championship and have earmarked several players for the exit door, including star man Jordan Ayew. Caught Offside sources understand that the Ghana forward—one of the club’s biggest earners—could be set for an exit from Villa Park only six months after he moved to the Midlands. While the club have steadily been won over by the forward’s performances, they are unconvinced either that Jordan would want to stick around in the second tier, or that he’s be cut out to help the Villains make a swift return to the top flight, and have thus earmarked him as an expensive luxury that can be cut loose. The attacker bagged 12 goals in Ligue 1 last season as FC Lorient evaded the drop, but it would take a miracle for him and his new teammates to beat the drop, with Remi Garde’s side currently sitting rock bottom of the EPL with only eight points from 20 matches. LOSC Lille are understood to be considering offering Jordan a route back into French football, where he’s previously played for Olympique de Marseille and Sochaux, although Everton, Southampton and Watford are all believed to be monitoring the five-goal forward’s progress. Charles N’Zogbia is another player who’s on the brink of being cut loose, according to the Mirror, with the club planning to pay the player off in order to offload the big-money flop.